Liqua-Gel is a premium food colouring, or food dye specially made for baking and cake decorating. Liqua-Gel food colourings take on the form of a highly concentrated and vibrant colour gel that mix easily and provide consistent tones without altering the texture of your product. These products are Kosher & Halal certified. Chefmaster Liqua-gels are soft gel food coloring for coloring icings, fondants, gum pastes, batters, cake frosting, and more. Liqua-Gel's are formulated to gives your icing the colour you want without altering the taste, texture, or consistency of the finished product. 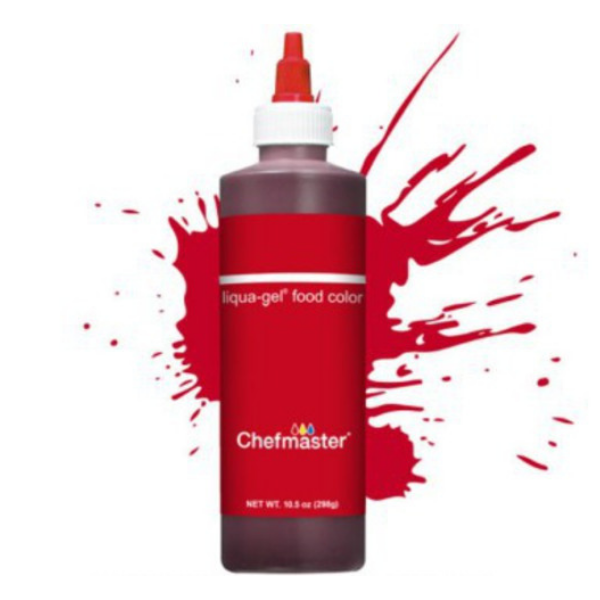 Always store Chefmaster Liqua-gel food colouring in a dry, dark place to help maintain its colour and consistency.